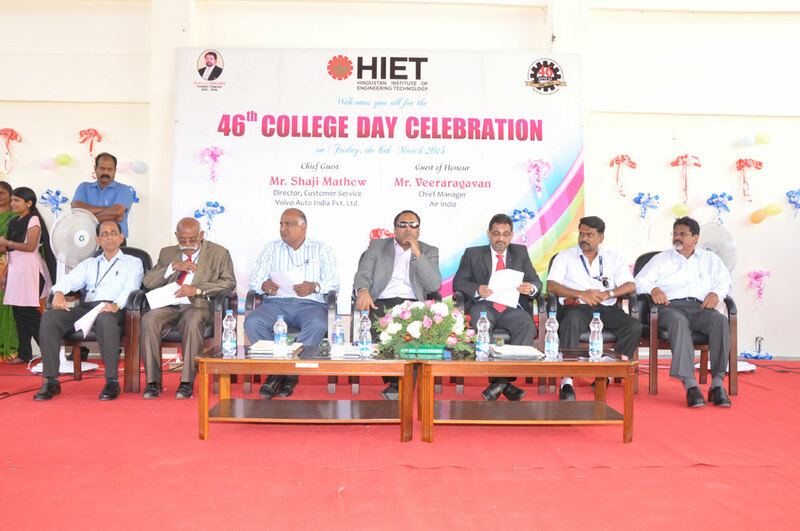 The College Annual Day 2019 Programme of HIET College was held in the college premises in a befitting manner on 15.03.19…. 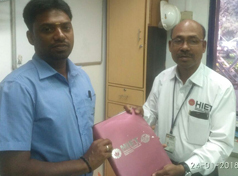 HIET has conducted the campus recruitment drive by M/s Gmmco Ltd., Chennai on 04.03.19 and the students of our college have attended the interview…. 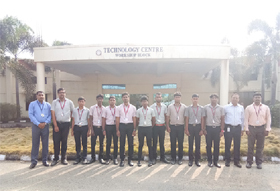 HIET students have participated State Level Project Competitions for Polytechnic students held at KCG College of Technology on 26.02.19. Our Polytechnic college students were awarded by the prizes during the function. 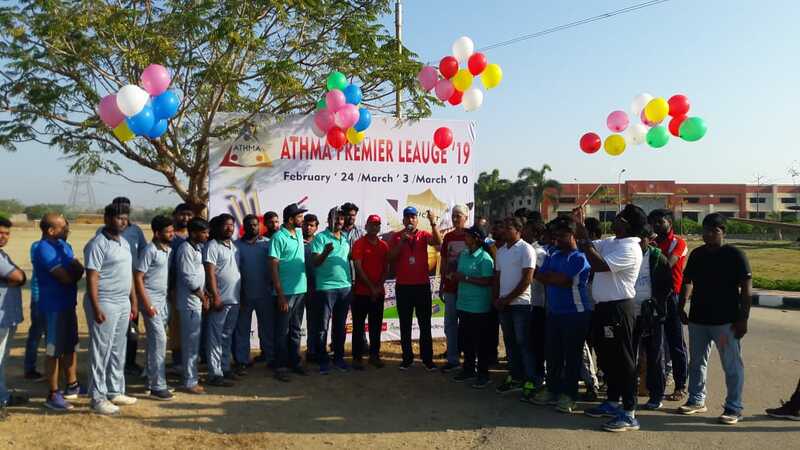 HIET has conducted the Athma Cricket Premier League Sports at our college premises between all the corporate company professionals on 24.02.19…. The Department of Computer Science Engineering has conducted the seminar on “An Over View of IT Industry” on 23.02.19 and Mr. Pankaj Kumar Sinha, Dy. Manager, HR, Ebix Tech. Pvt. Ltd. was the chief guest and speaker on the above said topic. 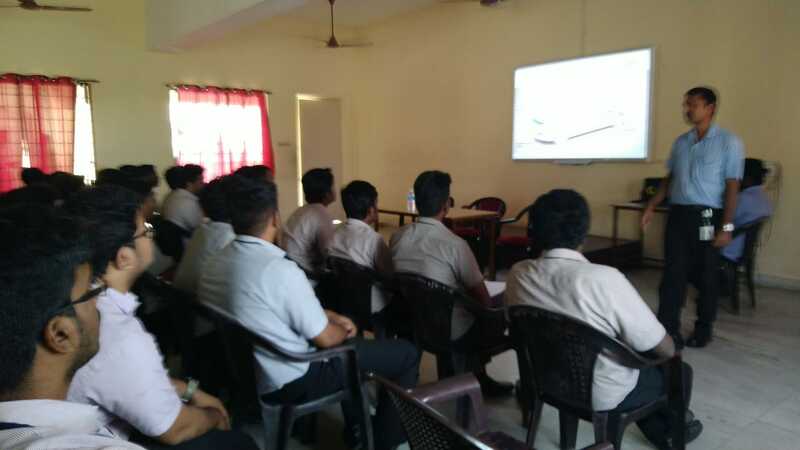 The students and staff members were benefited to know the current situation in IT industry. Civil Engineering Department has arranged one day industrial visit to Chembarambakkam lake view construction site on 23.02.19 along with Ms.Deepalakshmi, Ms. Rathika and Mr. Praksh faculty members of the department. The students were benefited and gained the knowledge about the construction of dam. HIET has conducted the campus recruitment drive by M/s KOMOS Automotive on 20.02.19 and the Dept. of Electrical and Electronics Engineering students have attended the interview. The Principal has given welcome address to the delegates of the company, staff and students those who attended the function. 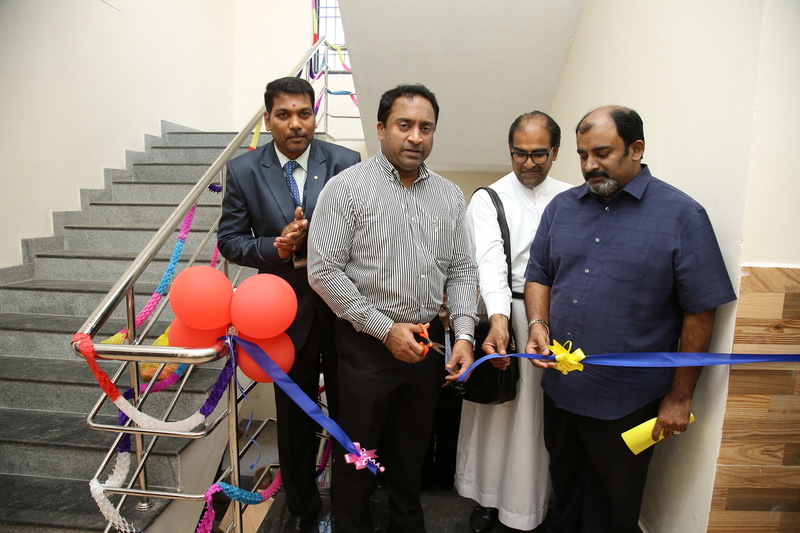 The new Mustang Hostel First Floor building in the HIET, Padappai campus were formally inaugurated by the Dr. Anand Jacob Verghese, Director and CEO of HGI, Mr. Ashok Verghese, Director of HGI along with Mr. Daison Mathew, Special Officer Father Jobi Verghese, Students Chaplin, HITS, Prof. K. Sundararajan, Principal, Polytechnic College and Mr. N.K. 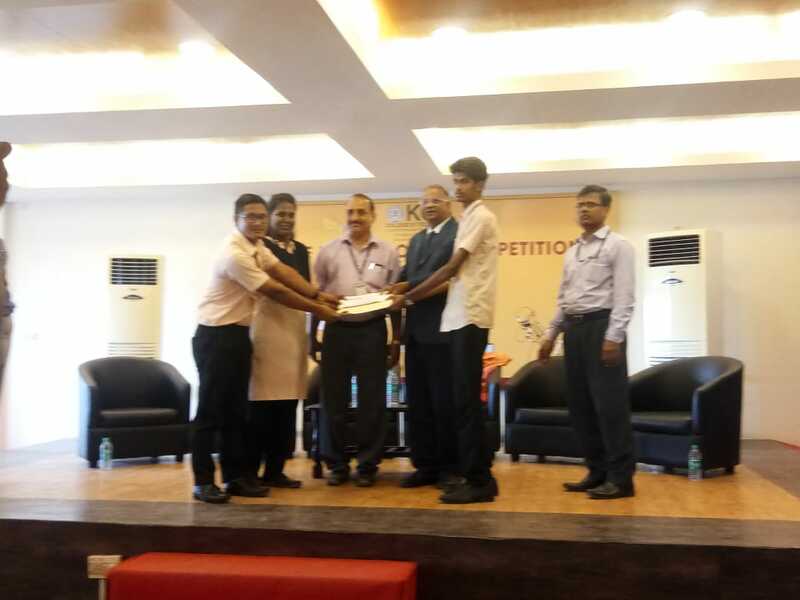 Mishra, Chief Instructor, Aviation College were presided over the function on 13.02.19. 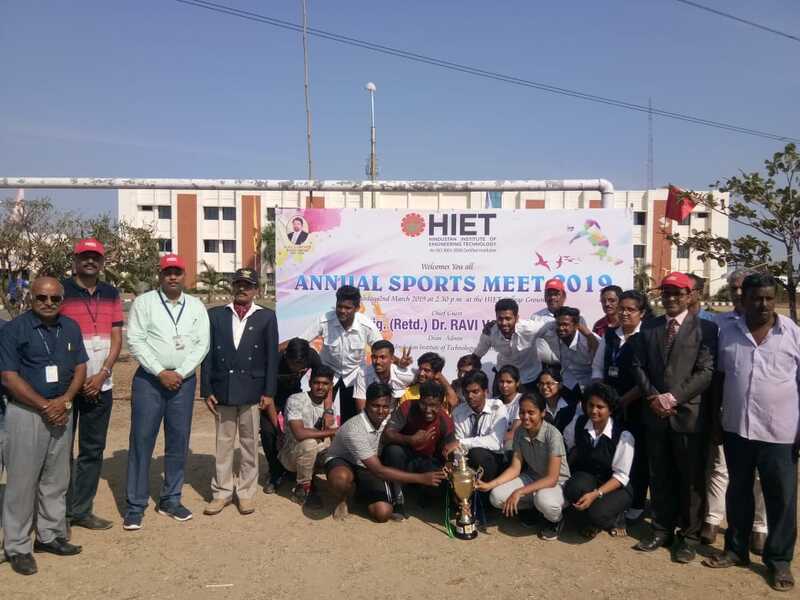 HIET has conducted the Inter – School competition between all schools in and around Padappai and Chennai on the eve of “ Dr. KCG Verghese Memorial Inter- School Competitions” on 11.02.19 to 13.02.19 held at HIET premises…. Computer Science Department has organised industrial visit to M/s Futurenet Pvt. 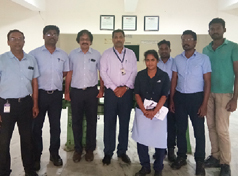 Ltd., Maduravoyal, Chennai on 05.02.19 along with the staff members of Ms. Sudha and Ms.Arsha.. 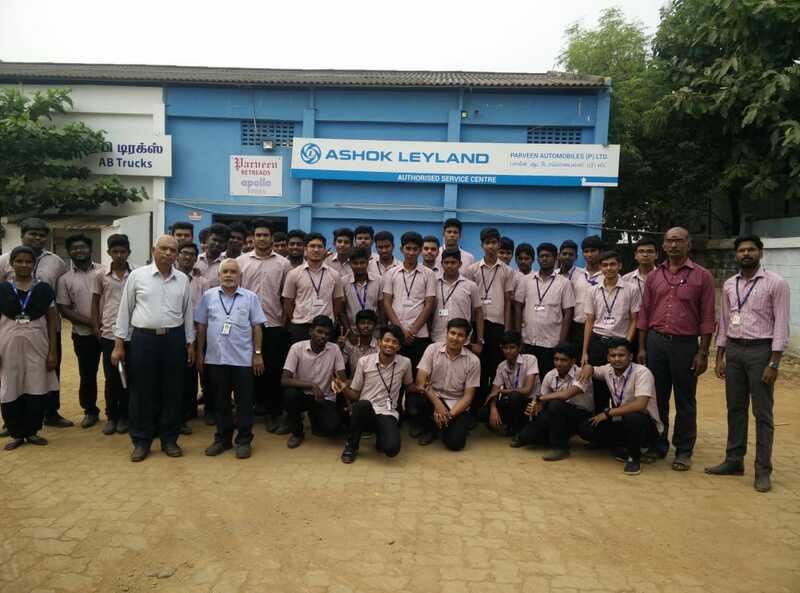 The students were benefited and gained knowledge during their visit to their company. 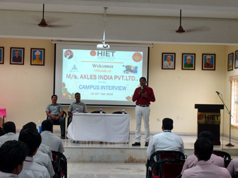 HIET has conducted Campus Recruitment Drive through M/s Apollo Tyres, Chennai on 02.02.19 at our campus. 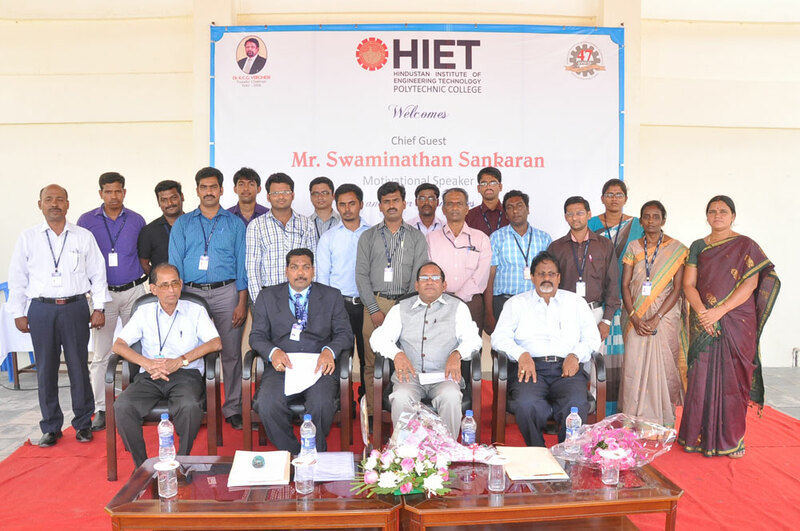 The Principal has welcomed the officials of the company and staff members of HIET on this occasion. At the very first, they have conducted the written test followed by the interview and the students got appointment order immediately after finishing the interview. 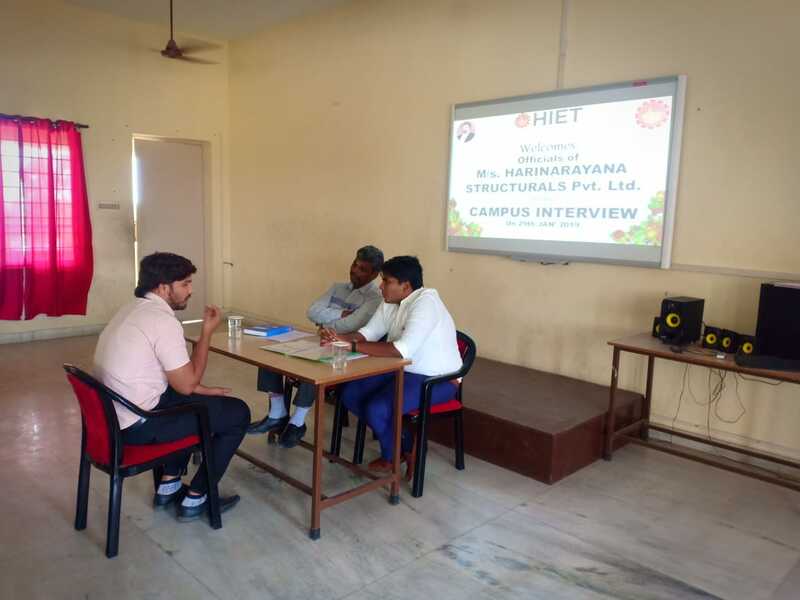 HIET has conducted the campus recruitment drive by M/s Harinarayana Transforming Aspiration, Chennai on 29.01.19.12.18 The Principal has given welcome to all the officials of the company along with our staff and the students of our college have attended the interview. The Principal has given welcome speech during the function. 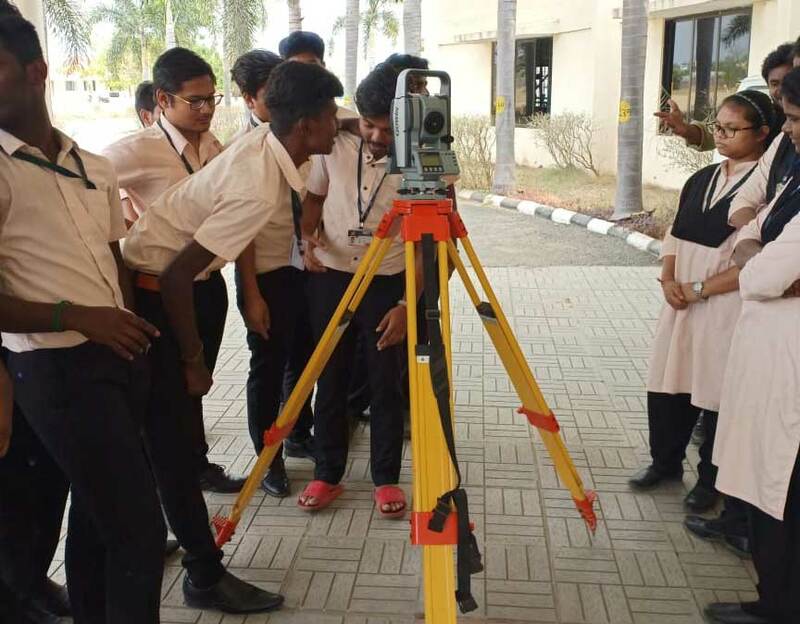 Civil Engineering students have attended the Total Solution Demo (TSD) at our college premises on 28.1.19 conducted by Mr. Ramamorthy, New Gen Lab, Pudukottai. The students knew the new techniques and procedure during the time of demo class. 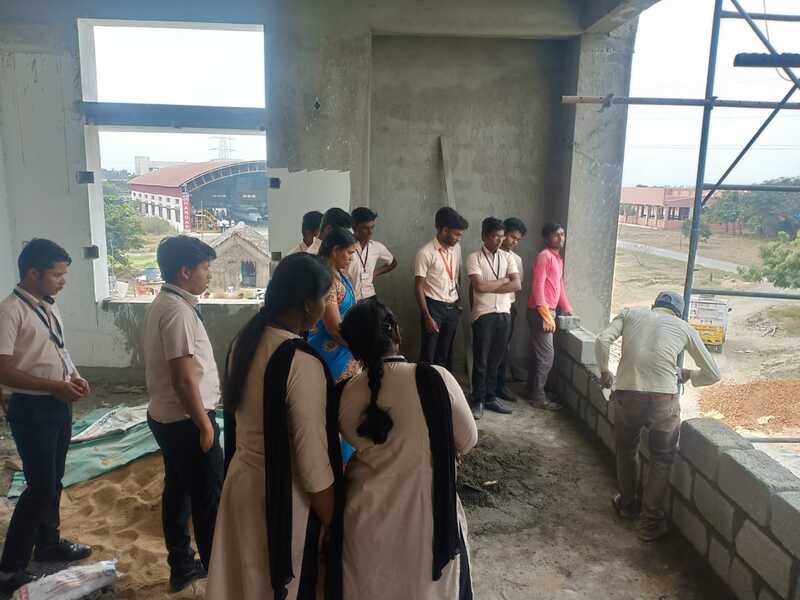 The Civil Engineering Department has arranged the visit in Mustang Hostel construction of first floor at our premises on 21.1.19 and 22.1.19 as a part of their course curriculum. The students along with staff went directly on the site and knew the techniques and procedure of construction field. 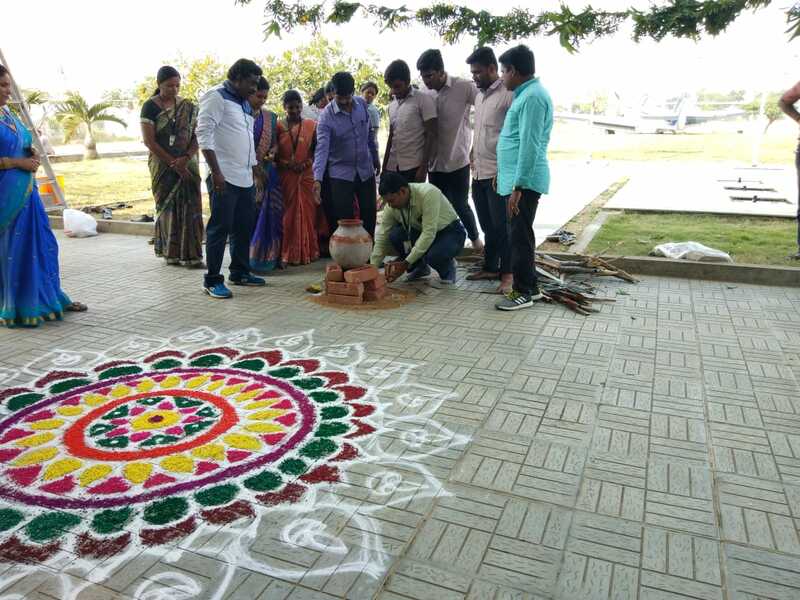 Using the celebration of ‘Samuthva Pongal’ as a platform for unity, students and staff of the HIET ushered in the festivities on Friday…. Campus Recruitment Drive - M/s Suspa Pneumatics India Pvt. 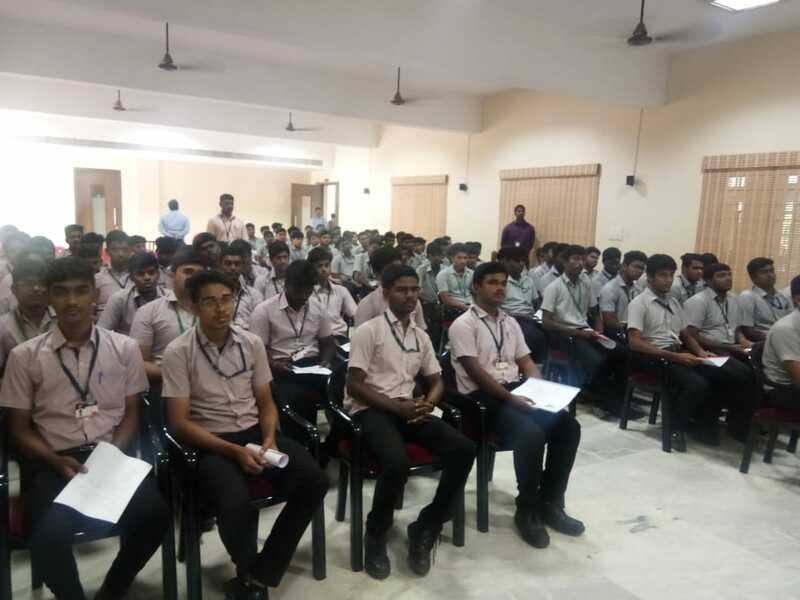 Ltd.
Campus recruitment drive conducted by M/s Suspa Pneumatics India Ltd., Chennai on 10.1.19 at our college campus. The Principal has welcomed all the officials of the company and they interviewed to our college students. 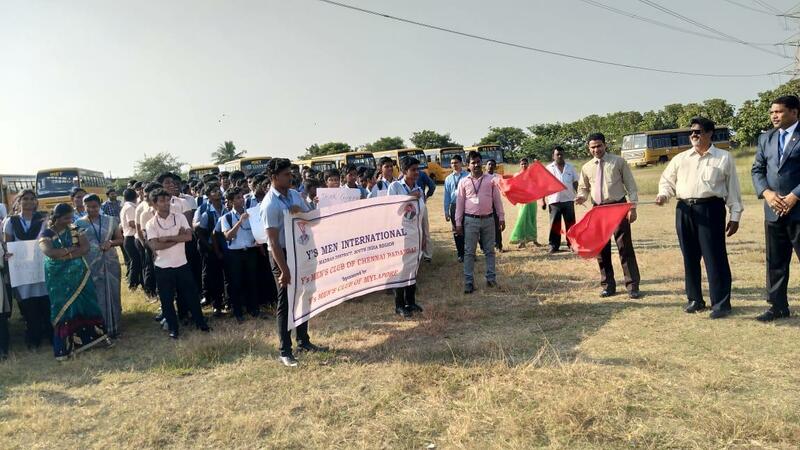 The Industrial visit organised by the department of EEE and ECE to M/s 400 KVA/230 KVA Sub Power Station, Sriperumbudur on 10.1.19…. The department of EEE and ECE have organised indusustrial visit to M/s Thermal Power Plant, Ennore on 31.12.18 along with Ms. Nirosa and Mr. Harihara Subramanian. 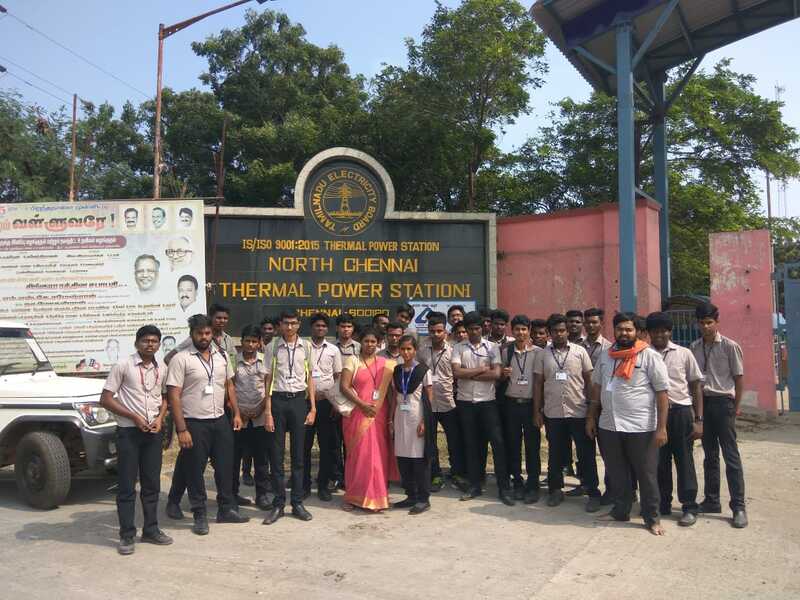 The students were benefited and gained knowledge of thermal power plant working condition during their visit. Hindustan Institute of Engineering Technology, Y’s Men International and NSS Unit have conducted the programme an awareness programme in the title of “Plastic Free Campus” on 26.12.18 for all the students and staffs. Our Principal welcomed and insisted to the students to develop not to use the plastic anymore. 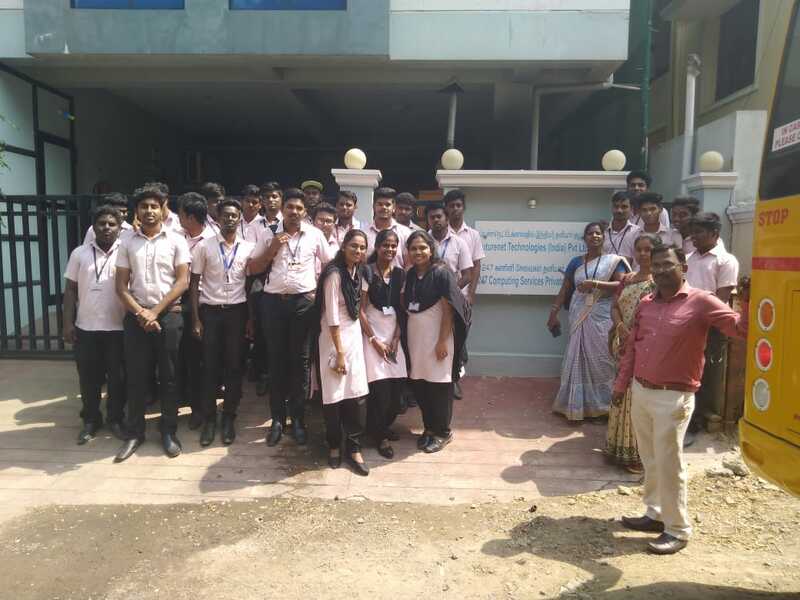 Computer Science Department has arranged one day industrial visit to M/s FIIT, Chennai on 09.01.19 along with Mr. Sudha and Ms. Shyamala faculties members of the department. The students were benefited and gained the knowledge about the current computer technology. Automobile Department has organised indusustrial visit to M/s Motor Zone, Chennai on 27.12.18 along with Mr. Rudrakumar and Mr. Yuvaraj. The students were benefited and gained knowledge during their visit to their company. 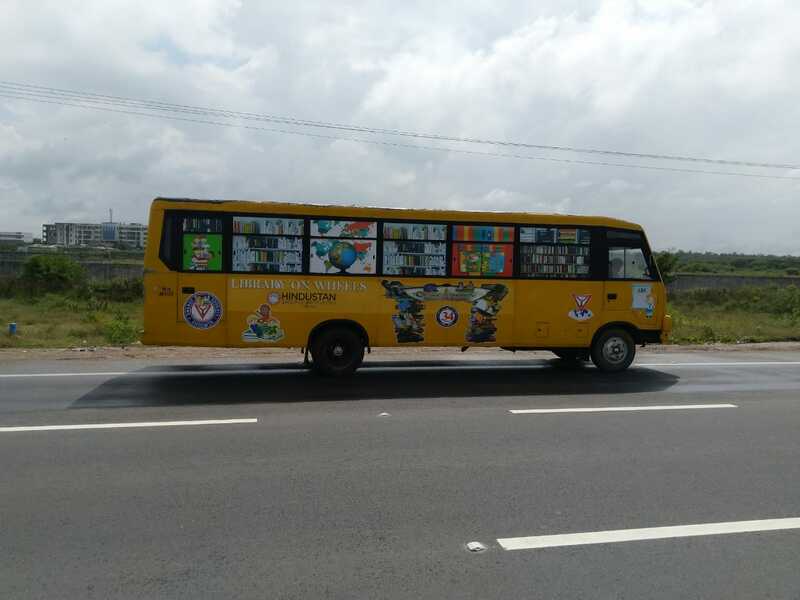 HIET will be initiated a library on wheels is underway. A healthy reading habit can transform a person and access to books and reading material relevant to the target group can transform a community. We have a robust training and placement program in the campus. A dedicated placement team, headed by a well qualified Principal, Training and placement cell functions round the year to ensure that students are placed in reputed companies across the country. 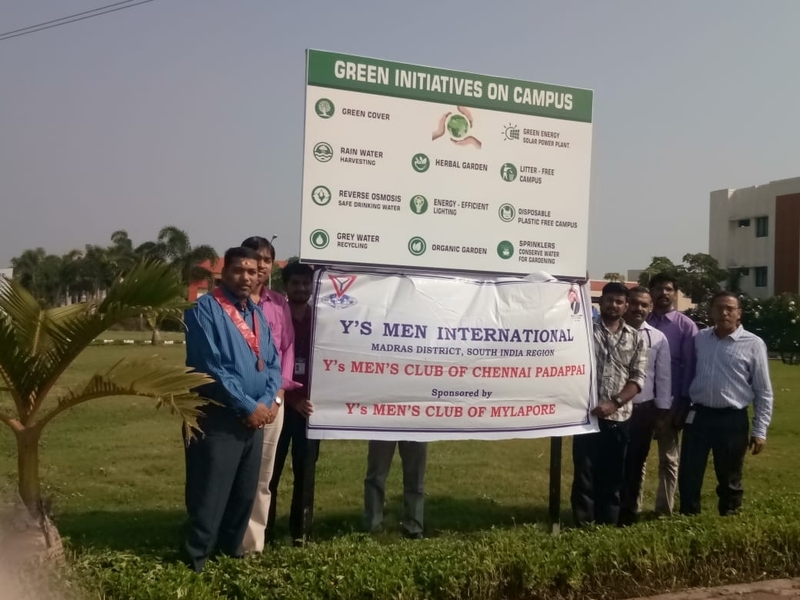 HIET has initiated the Green campus programme at our college campus with the help of Y’s Men International on 10.11.18. An Industrial Visit was organized for the present final year students (Batch No.132 to 135) to INS Rajali, Naval Air Station, Arakkonam. A total of 79 students availed this opportunity. This visit was very much useful technically. They were given knowledge on operational procedure of latest Boeing version aircraft used in Defence and also Helicopter operation. The final year diploma students of all branches who attended a campus recruitment drive conducted by M/s Brakes India Limited, Chennai in the college campus on Tues day 13.2.18, and sixteen students were successful and got offer letters from the company. The Principal, HIET welcomed the gathering. 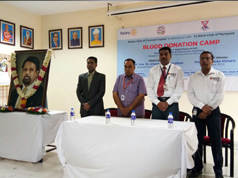 HIET has organized blood donation camp in collaboration with Rotary Club of Chennai Capital, Y’s Men Club, Mylapore, Hindustan University, Hindustan College of Arts and Science and Hindu Mission Hospital, Chennai on 14.2.18 in our college campus in commemorative function of Dr. KCG Verghese, Founder Chairman, Hindustan Group of Institutions. The Principal and other members were given floral tribute to our beloved chairman. Science communication has evolved in recent years, breaking the age-old tradition of the elite scientist imparting knowledge to the interested layman. Thanks to the increasing emphasis in academia, it is now expected that learning about science is an open, democratic process – something shaped by professionals, but led by the public…. Our college had got a excellent placement record. Every year many of the students get placed in campus interviews. Companies like Rane Madras have given great opportunity to our students at the time of campus drive. The official team of Rane Madras have visited our campus on 19.2.18 and all of them were appreciated the infra structure facilities available in our campus. 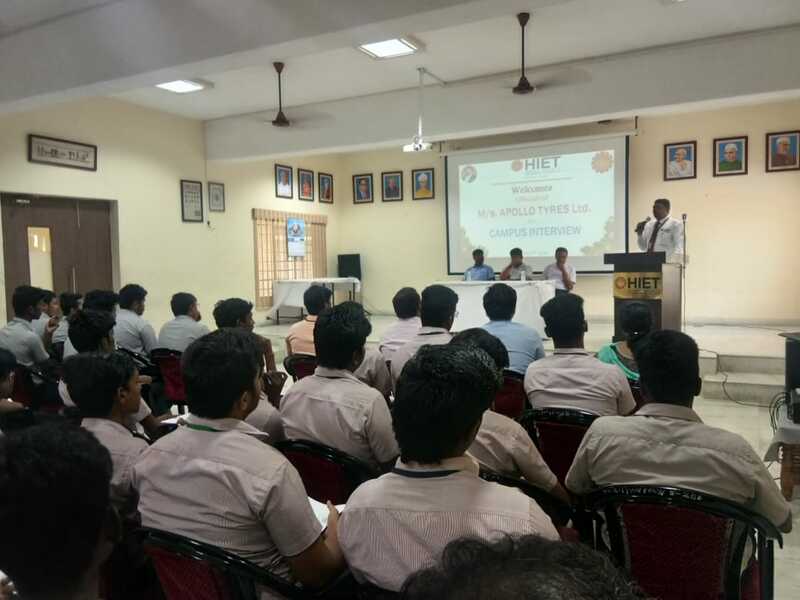 HIET conducted the Campus recruitment drive for Automobile and Mechanical Engineering branches of both 21 students were attended the drive at our Good Shephered Auditorium on 21.02.18 through officials of M/S Axles India Pvt. Ltd., Chennai. 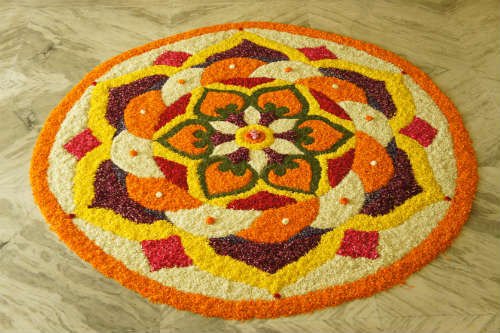 Pongal is a harvest festival, a traditional occasion for giving thanks to nature. HIET has celebrated the birth of Jesus Christ in a grand manner on 30th December 2017 at our campus. Rev. 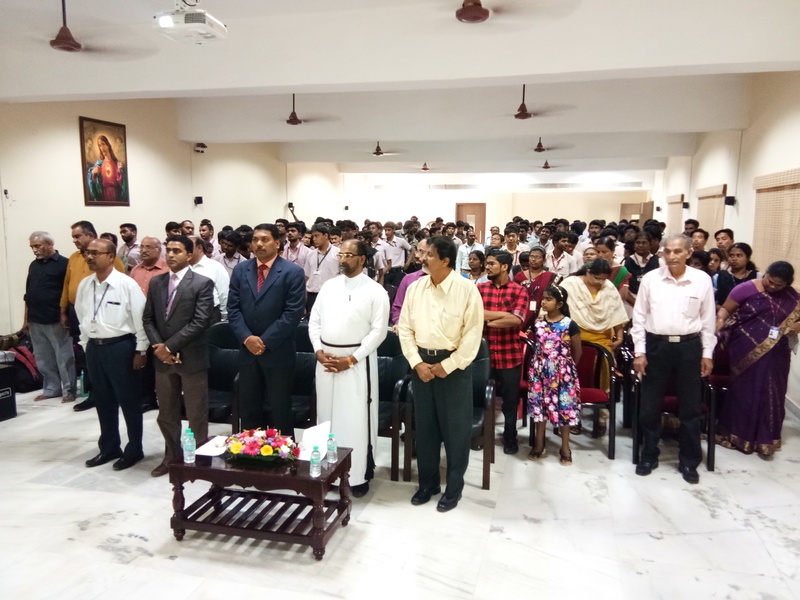 Father Jobi Vergheese, Student Chaplain, was the chief guest of the gathering and gave blessings towards the staff and students of our college. 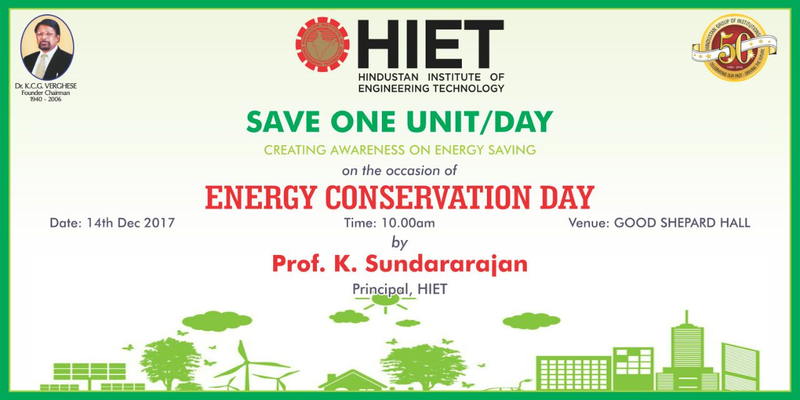 Mr. Daison Mathew, Special Officer, HIET has participated and Prof. K. Sundararajan, gave welcome speech on the occasion. All the students and staff members of both the college were present with full pleasure on the function. The prospective school students of in and around village of Padappai often invited to visit our HIET campus. 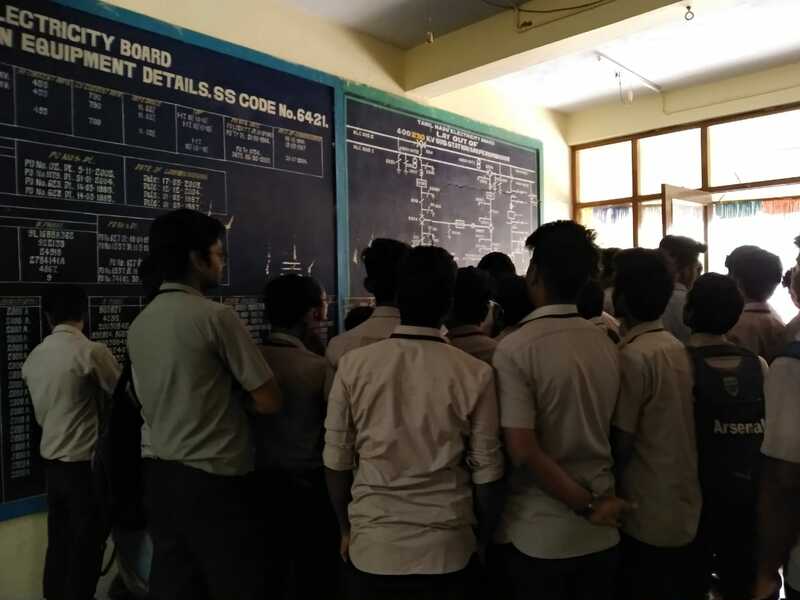 In this connection, the students from Govt. Girls Higher Secondary School, Padappai, along with teachers have visited our campus on 29th December 2017. 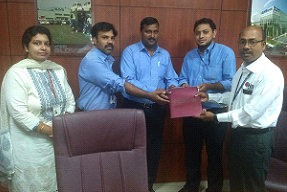 Prof. K. Sundarajan, Principal, Polytechnic College and Mr. N.K. 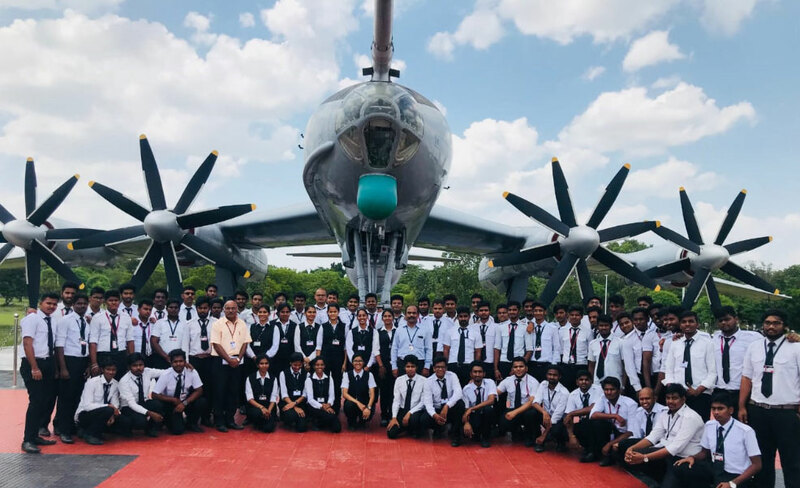 Mishra, Chief Instructor, Aviation College, had briefed about the facilities available in the campus and the students were visited to see the facilities of our college with full enjoyment. The earth provides enough to satisfy every man’s needs but not every man’s greed said Gandhiji. Hard facts on why energy conservation is a must for future needs? An old Indian saying describes it this way – The earth, water and the air are not a gift to us from our parents but a loan from our children. Hence it is essential to make energy conservation a habit to our present and future generation. 20 & 28th December, 2017 – students along with staff of Automobile Department have gone for a special Industry Visit to SRM workshop, which is one of the famous vehicle body building company in India. 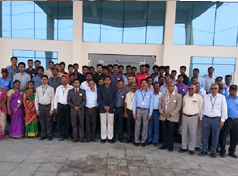 The main objective behind the visit was not only to introduce the students to the real time automobile world Garage and Mechanics performing various day to day functions of basic servicing and maintenance but also understanding other related operations and functioning of a garage for goods vehicles…. 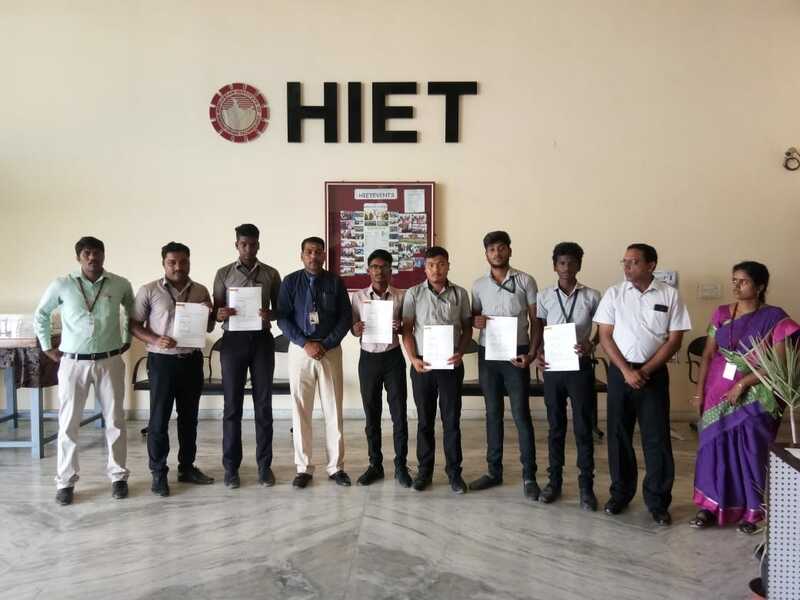 The Principal of HIET has been done his utmost effort to welfare of our college students and to uphold the ethics and integrity, responsibility and driving our mission to help the students to achieve their goals. 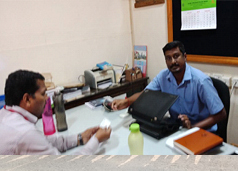 The Forging India Company personnel met our college Principal to discuss the matters related to the campus interview to be conducted here in our college. The Dept. of Mechanical Engineering has organized seminar at Good Shepherd Seminar Hall of our college on 25.1.18. Mr. Jescudos, Prof. of Mechanical Engineering, KCG College of Technology. He gave valuable speech towards our students and his speech was inspired by the all the members of the department. The Principal and Business/Admin. Manager both of them have met with Mr. Gokul Raj and HR of the Rane Madras at their company on 25.1.18 and to disucss with the matters related to the campus interview to be conducted here in our institute. 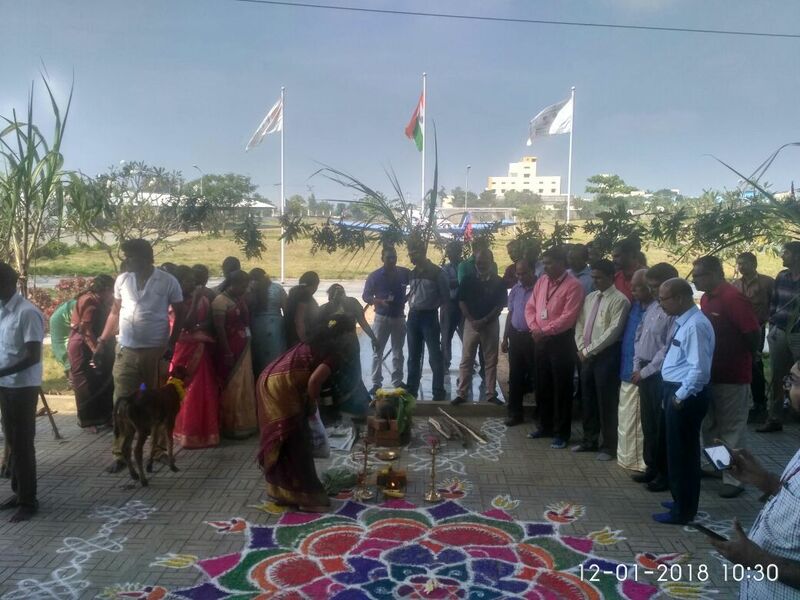 Republic Day celerbration in collaboration with Madras Y’s Man Club was held at HIET on 26th Janunary 2018. The Chief Instructor, AME College hoised the National Flag and gave speech regarding the India’s republic day towards the students. 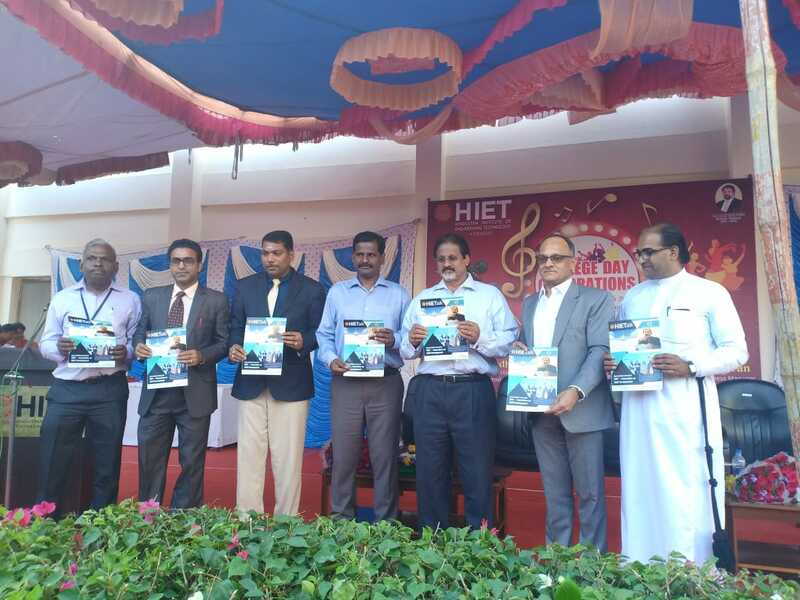 Mr. Ravindran, Registrar of HIET was also present during the function. The Business/Admin. Manager, Training Manager and Placement Officer of HIET have met with personnel of Hyndai company on 19.1.18. and to disucss with the matters related to the campus interview to be conducted here in our institute. 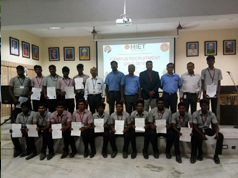 The Principal along with Lecturer/Rotract Coordinator in Mechanical Engineering have positioned at the HIET students those who have been got the NATRIP Training at our college premises as per our MOU of the company. The Business/Admin. Manager, Training Manager of HIET have met with personnel of Hyndai company on 24.1.18 and to disucss with the matters related to the campus interview to be conducted here in our institute. The Principal has met with Mr. Vivek, Tubes India Limited Personnel at their campus and to discuss the matter related to Campus interview to be conducted at our college during the time of meeting. 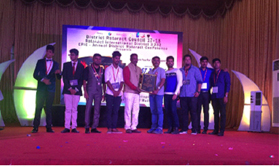 Mr. Vinoth, Lecturer in Mechanical Engineering Department and coordinator of Rotaract has attended the meeting of the District Annual Rotaract International Conference held on 17 and 18th of Jan. 2018 and got award during the function. Yoga is not only good for the soul but also great for the body. College students can reap enormous benefits through yoga classes on campus. Yoga can help them relieve the stress and it can improve students’ physical, mental, and emotional health. 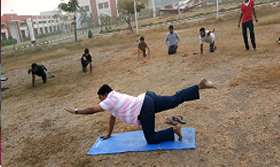 Keeping in mind, The Principal has been conducted Yoga classes for students during the early morning hours. The Dept. 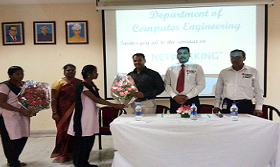 of Computer Science Engineering of HIET has conducted the Networking seminar in our campus on 30.1.18. 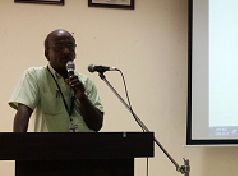 Mr. P. Muthukumar, Networking Administrator, TCS was the Chief Guest to deliver the lecture about the importance of networking in front of the students. 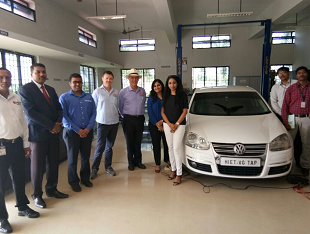 Australian Delegates along with Indians have visited the HIET campus on 30.1.18. The Principal and staff members welcomed the delegates and to discuss the matter related to the Solar Training programme at the conference room. The delegates were visited all the labs and other amenities available in our college and they appreciated the infrastructure facilities of our college. 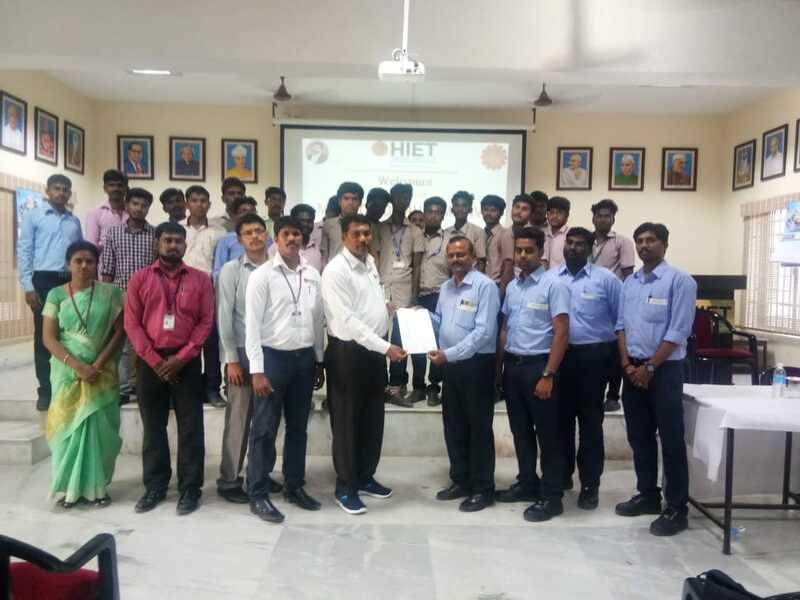 HIET has conducted the Campus recruitment drive for all the braches of our college on through M/s Summitt Auto parts India Ltd., Chennai on 27.02.18 The main objective of this recruitment drive is to recruit our students to the concerned company. 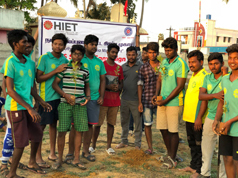 HIET NSS team conducted special camp at Vadakupattu village because of Prime Minister’s “Clean India Movement” on 2nd -8th March 2018. Every day the NSS team headship of NSS Programme Officer conducted each programme on every day for the upliftment of the village people. The village President and village people were appreciated our effort to put on the village by our NSS volunteers. The function was held at Good Shepherd Seminar Hall. 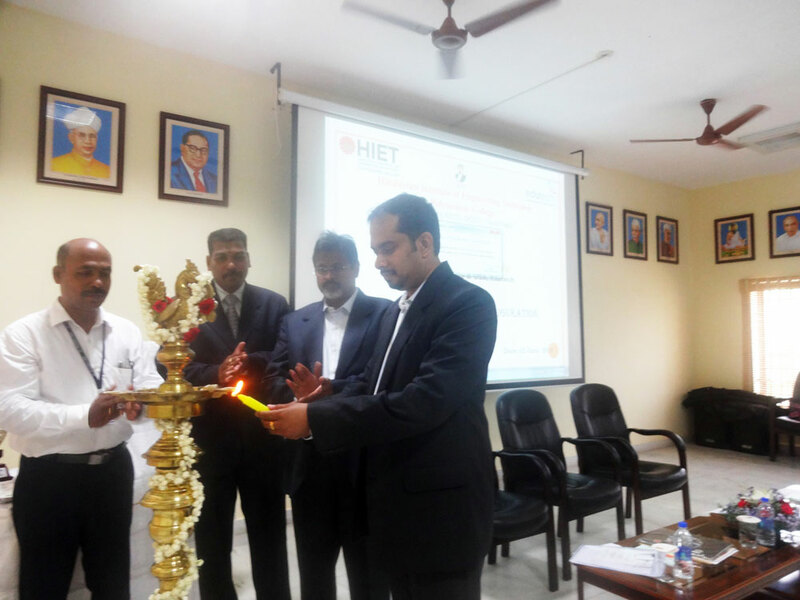 Mr.Sajeev Karuthody, Director – India & USA, Edutech was the Chief Guest for the function. 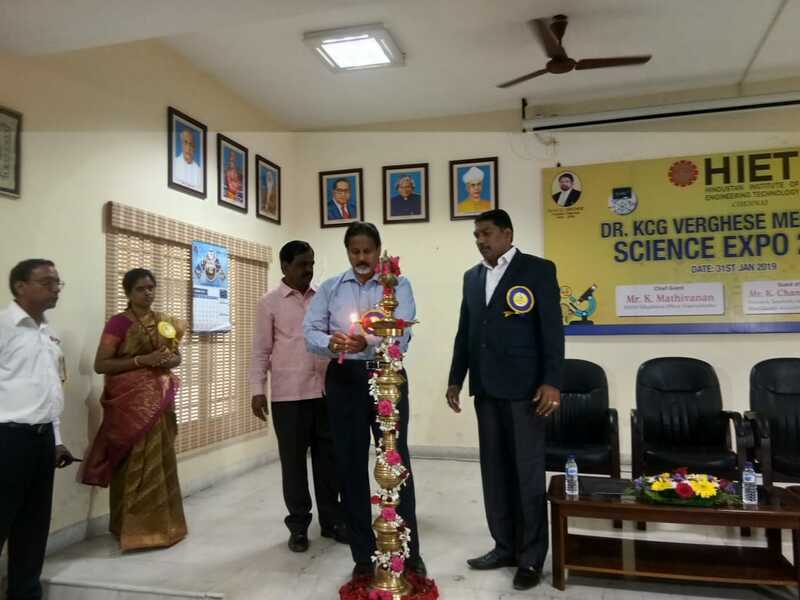 The Chief Guest along with Mr. Daison Mathew, Special Officer and Prof. K.Sundararajan, Principal HIET lighted the Kuthuvilaku. 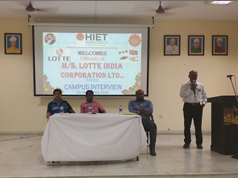 The induction programme was arranged at the open theatre, HIET Polytechnic College on 6th July’2015. The function was presided over by Mr. Daison Mathew, Special Officer. Mr. Swaminathansankaran, Motivational speaker was the Chief Guest. 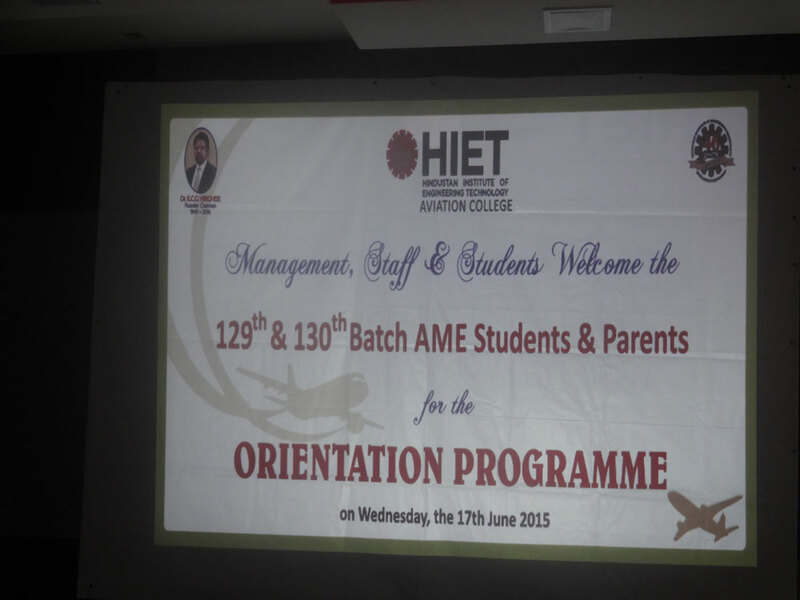 Orientation Programme for AME 129th & 130th Batch was held on 17th June, 2015 at Wright Brothers Seminar Hall. A video presentation of Hindustan Group of Institutions was casted on the screen. Mr. Narasimhan, Chief Instructor of Aviation College gave a welcome Speech . 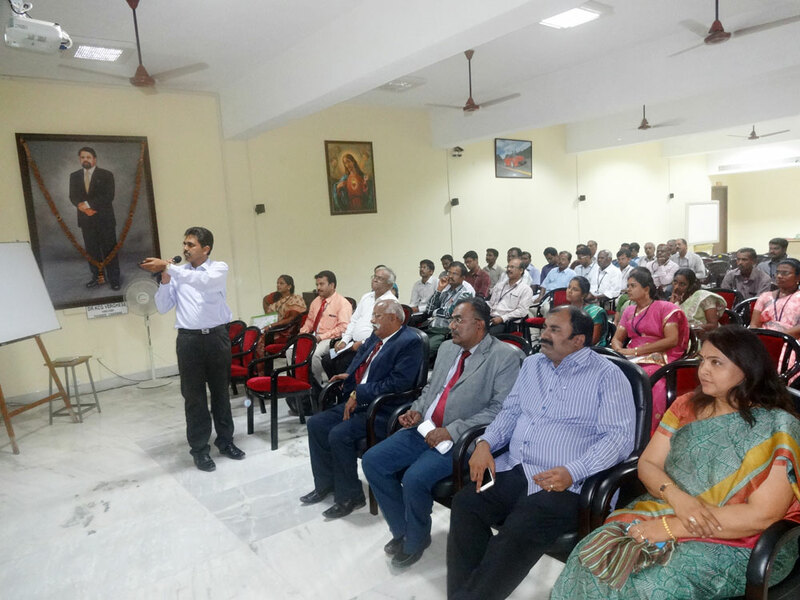 The Faculty Induction & Training Programme for HIET Polytechnic staff was held on 29th May 2015, at Good Shepherd Seminar Hall HIET. Prof. M.C. Sampath, Principal, proposed the welcome speech. This was followed by a video presentation about Hindustan Group of Institutions.